Pope Francis leads an audience at the Paul VI Hall with children cared for at the Pediatric Dispensary of Santa Marta and their families and the volunteers on December 14, 2013 in Vatican City. The children surprised the Holy Father with a small party ahead of his 77th birthday, which is Dec. 17, giving him a cake and a sweater. Pope Francis turns 78 next week. Last year, he famously celebrated it by breakfasting with four homeless people who lived just outside the Vatican walls at Casa Santa Martha, the guesthouse he shares with other members of the Curia. This week, in an interview with the Argentinian newspaper La Nacion, Francis revealed that before he traveled to Rome for the Conclave to elect Pope Benedict’s successor, he'd told the Vatican nuncio that he was going to retire and that they were in the process of drawing up a short list for his successor as Archbishop of Buenos Aires. Instead, he found himself as pope. Because his birthday falls on a Wednesday, this year he’ll share it with hundreds of people at his general audience in St Peter’s. “It will be just another day to me, pretty much like any other one,” Pope Francis said. 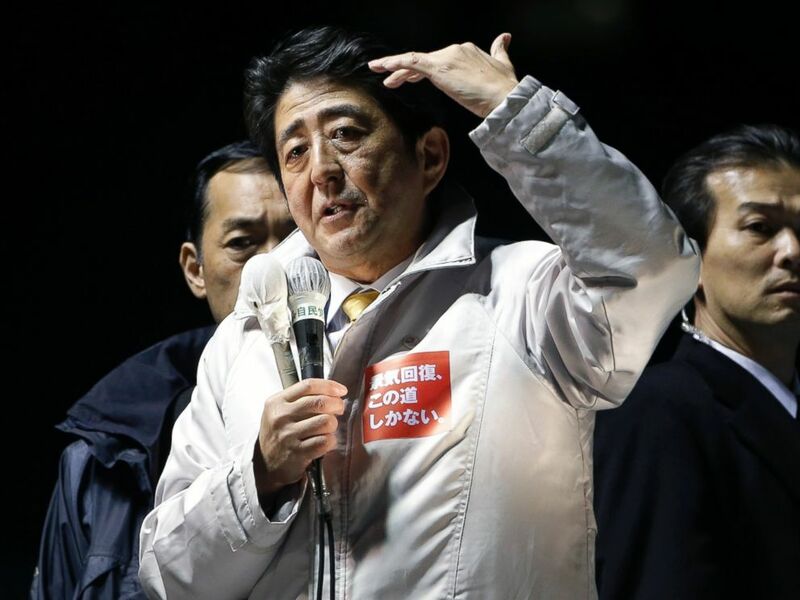 Shinzo Abe, Japan's prime minister and president of the Liberal Democratic Party (LDP), gestures as he speaks during an election campaign rally in Saitama City, Japan, Dec. 12, 2014. Japan goes to the polls on Sunday, and in a country where politics are notoriously unstable, Shinzo Abe is heading for re-election. Japan has had 76 prime ministers since the Meiji Constitution in 1885, serving an average of two years. By comparison, the U.S. and France have had 23 presidents since 1885 and Great Britain has had 25 prime ministers. If Abe wins re-election, he will make post-war history, becoming the first Japanese prime minister in the modern era to serve three terms. His Liberal Democratic Party and its coalition partner are likely to win more than the 317 lower-house seats they need for a two-thirds majority, according to latest polls. A majority of that amount will enable them to push legislation through both houses. But support for the 60-year-old prime minister is fragile. In a familiar refrain, Japanese voters complain that his efforts to prop up the county’s ailing economy over the last two years have increased profits at many big companies, but they haven’t shared the benefits. Shi'ite people gather during the Arba'een ceremony in the holy city of Karbala, southern Iraq, Dec. 12, 2014. More than 17.5 million Shiite Muslims will gather in Karbala, Iraq, next week to celebrate Arbaeen – one of the largest religious festivals in the world. 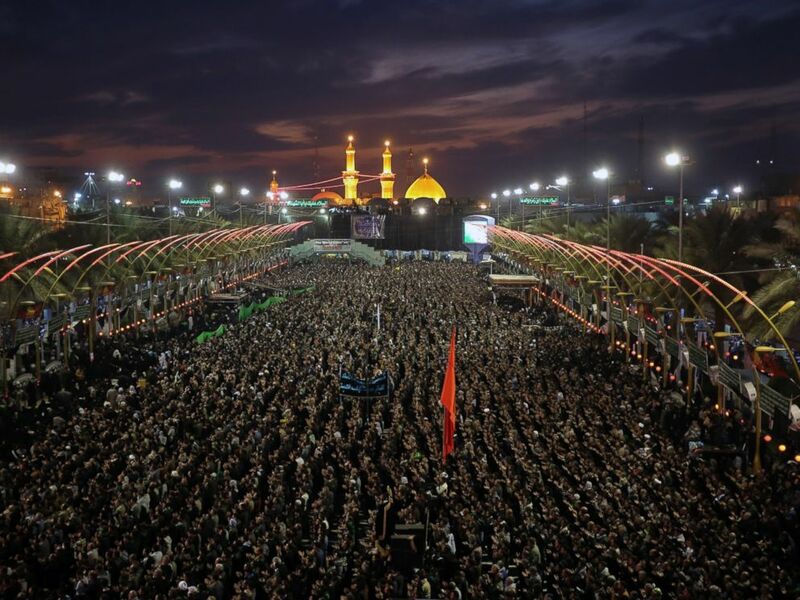 Arbaeen marks the end of a 40-day period of mourning for the prophet Imam Hussein. Pilgrims, undeterred by the threat from Sunni ISIS militants, have been walking towards Karbala for days from across Iraq. The country’s defense minister Khaeld al-Obeidi says a record number of worshipers will make pilgrimage - from 60 different nations, with the majority from Iran. In another sign that Christmas is around the corner, the world’s fastest – and steepest – ice run opens for business on Thursday. The first Cresta Run was built in 1884 – and while the toboggans and equipment have evolved, the run and the traditions surrounding it have remained constant. The natural run is built from scratch every year with snow that is then iced. It starts in St. Moritz, Switzerland, and winds its way down a narrow valley to what was the village of Cresta, but which now forms part of Celerina. It is approximately three-fourths of a mile in length with a drop of 514 feet. The gradient varies from 1 in 3 to 1 in 9, with 10 corners, the most infamous being Shuttlecock Corner where - if a rider is out of control - he risks going out of the run. The Cresta continues for nine weeks and features over thirty highly competitive races, with riding taking place every day of the season except on Christmas Day. Miss World 2013 Winner Megan Young, centre arms outstretched, poses for photographs with Miss World Contestants in London, Nov. 25, 2014. On Sunday, Miss World will be crowned where it all began 63 years ago – in London. From Albania to Zimbabwe, 121 contestants are competing for the title, but one country is not represented. There’s no Miss Honduras. The body of Maria Jose Alvarado was found buried on a remote riverbank near the northwestern city of Santa Barbara on the day she was due to fly to London. The new Miss World will travel to Honduras to build a school in her hometown that will be named in her honor. Police in Honduras accuse her sister Sofia's boyfriend of shooting them in a fit of jealousy after seeing Sofia dancing with another man at a party. Miss South Africa, 22-year-old medical student Rolene Strauss, is the 6/4 favorite to take the title, followed by Miss England and Miss India at 7/1. Keep an eye out for Miss United States: Elizabeth Safrit is an outsider at 20/1.